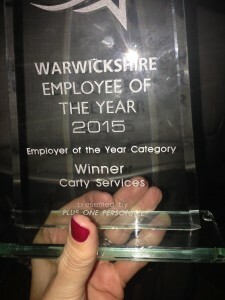 Warwickshire Employer of the Year – Winners!!! 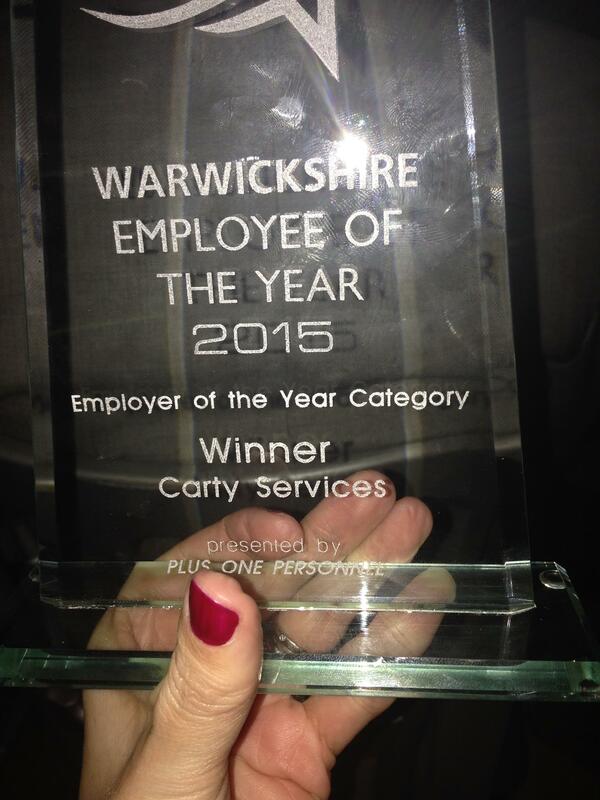 Fantastic news: we are the winners of Warwickshire Employer of the Year 2015 run by Plus One Personnel, sponsored by the Leamington Courier and supported by the local MP, Chris White. The ceremony took place in the great hall of Warwick Castle on Friday, 6th February 2015 and Steve Orchard of Touch FM presented the awards. There is a special Awards page on the Plus One Personnel website and look out for us in this week’s Courier. We are very proud that the company has been recognised with a prestigious, county wide award.